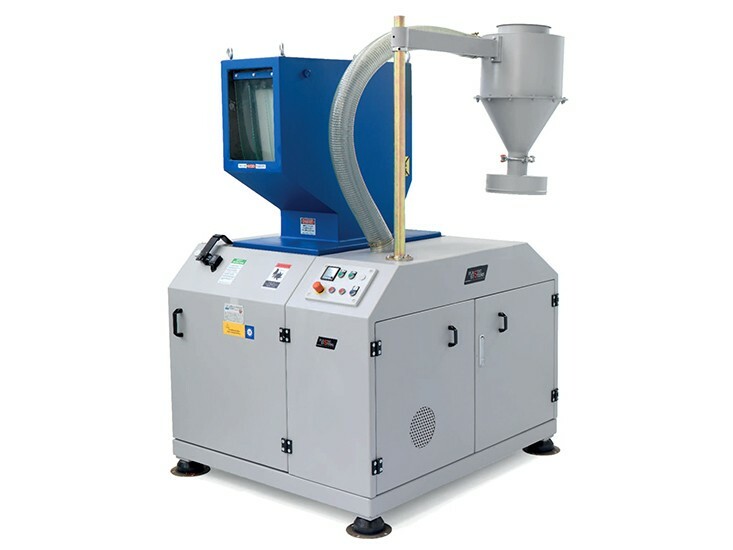 The granulators of the GCS series are the ideal application for injection and blow molding. There are four models available with an open-type rotor, diameters of 300 and 500 mm and blades with lengths from 300 to 700 mm. All models are completely sound-insulated. • Welded cutting chamber made of high-quality steel. • Fixed blades and mobile blades with a “V” cutting action creates a consistent material cutting concen- tration toward the central area of the rotor. • Supplied with a template so as to easily sharpen the mobile blades. • High-efficiency engines and transmission by means of belts, all models are equipped with a cyclone fan to extract the regring material. • Electric switchboard with an ammeter to check absorption. Regrind material with a low quantity of dust. A solid rotor and a sound-insulated enclosure ensure low noise levels. 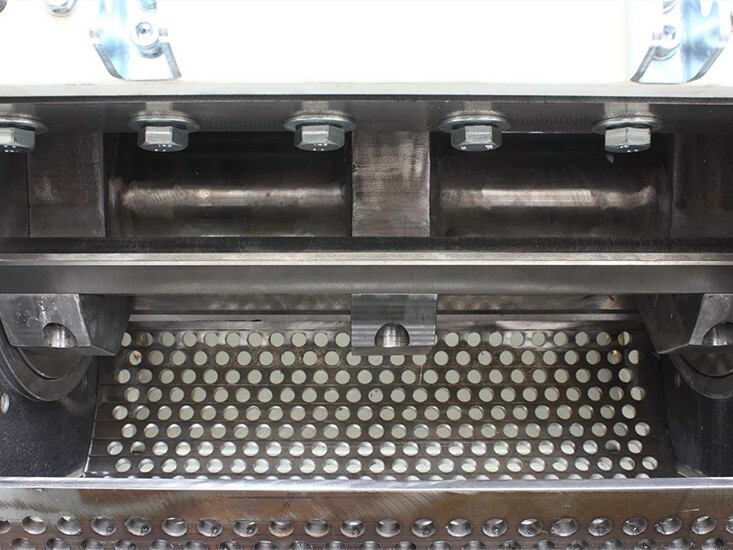 Easy and quick access to the cutting chamber, the machine is equipped with an oleodynamic pump for turning over the hopper. 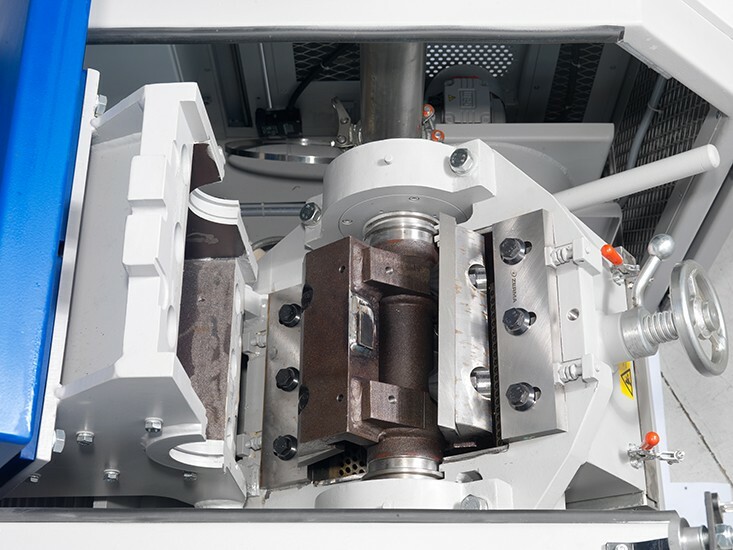 The machine has been designed in compliance with current safety standards.